The Institute for Science & Mathematics is located on the third floor of the Dr. Henry Givens, Jr. Administration Building at 3026 Laclede Avenue in Room 317. 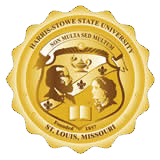 We are here to serve Harris-Stowe State University students who desire assistance with achieving academic excellence in their mathematics and science courses. We offer academic tutoring that utilizes peer and professional tutors who have the appropriate level of expertise to assist with comprehending and mastering the vital concepts and techniques to enhance student retention. The retention initiative will be supported through field experiences, workshops and seminars featuring professionals and area experts to raise awareness about mathematics and science careers. The Institute for Science & Mathematics also oversees the Academy for Science & Mathematics with a primary focus on producing academic scholars in mathematics and science. We welcome all students to utilize this resource!